How do I submit work to the Art Catalogue? 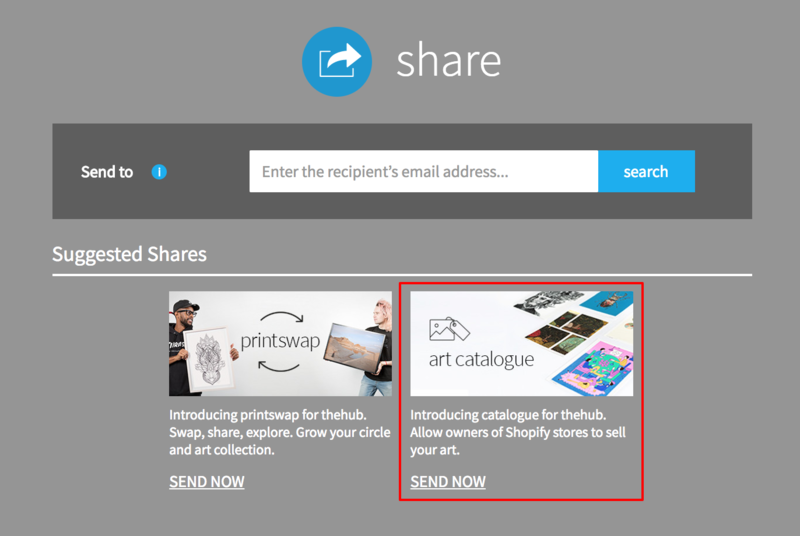 Find out how to upload your artwork to the creativehub platform for submitting it into Art Catalogue. To submit to the Art Catalogue, log in / sign up to your creativehub account. Please note: Images must be priced before sharing. To learn how to price images in creativehub click here. 2. Click “share images” on the bottom toolbar. 3. Click the Art Catalogue button in the suggested shares section. 4. 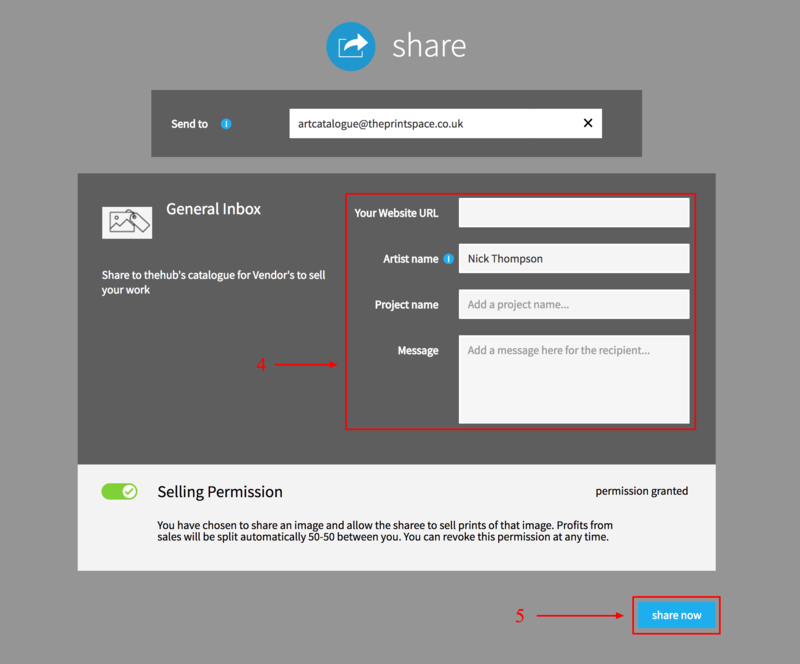 Fill in the details on the share page, including your website URL, Artist Name, Project Name, Project Description. Your work will now undergo a screening process. You will receive an email to let you know if your submission was successful.